Why should you go Paddle Boarding? Stand up Paddle (SUP) originated like Surfing in Hawaii in 1940's when the local surfers paddled out standing up to take pictures of the tourists in Wikiki, standing up to ride alongside, to get the right shot. Why would you want to stand up on a board and paddle it? Stand up paddleboarding is quite simply the fastest growing watersport in the world, What we find when teaching SUP boarding is that in the right conditions everyone not only picks it up quickly but really enjoy the sensation of gliding across the water stood up, be it in and around the coast looking down into rock pools or following a crystal clear river around every bend and turn finding new places you never knew were there. Then also catching your first wave or swell already stood up, with SUP there's alway more things to do. Since we first tried SUP we've explored so many new places, we've caught tiny wakes behind a boat we've caught ocean swells out to sea we've ridden tidal bores and got barrelled in chunky surf and ridden reef breaks way out to sea. We've also been on long distance trips down the coast , we've seen dolphins, seals, loads of fish, looked down on spider crabs below, been followed by birds around rock gullies and plenty more. These are just some of the reasons you should stand up on a board and paddle it. Why stand on a massive surfboard and paddle it around? Flat water SUP is very accessible to almost anyone. Most SUP Boards are 30" and wider offer a very stable platform to cruise around on giving you a very comfortable paddling position. The boards come in different sizes and widths to suit any size rider. The longer boards are more flat water or larger rider oriented, these boards glide through the water smoothly (less wind the better) giving a stable comfortable ride. A half hour paddle on flat water uses lots of muscles you may have forgotton about, across your shoulders, whole back and core as well as your legs and gives a low impact all over workout (you won't want a 5/3 wintersuit on!). In general SUP Flat water is sociable, a good sensation and an easy workout, alot more exciting than the gym! If you live next to a barreling reef break that works every time you're off, and you can surf a 6ft board then you don't need a SUP Board. However if you want to try surfing in easy small waves or want to spend more time riding waves than sitting on you're board, then SUP Surfing is for you. Why SUP Surf? On a big long board you can catch any wave 6 inches high to 15 foot high on the same board. Paddling with a paddle gets you on to waves super early meaning you can catch waves alot earlier than a normal surfboard. Riding with a paddle means you can paddle through any flat spot on the wave meaning you can literally ride the wave from way beyond any surfer all the way up to the beach if you want to. If youv'e never surfed before you'll find the easiest way is on a SUP Board, no scrambling to your feet, jumping up on a wobbly board. Being a SUP rider in a busy surf break is not going to make you many friends (just like canoes, kayaks and windsurfer's). Always start well away from other water user's, being hit by a 11ft surfboard isn't going to go down well. If you're riding with other surfers always let surfers drop in if they like (they don't usually). But never paddle on to a surfer's wave (he'll have spent a long time getting into the right place to catch it) you can also catch the next one alot easier. Simply give way to everyone else and stay well away from crowded surf. You can always paddle 200m away in no time and then have plenty of waves to yourself. 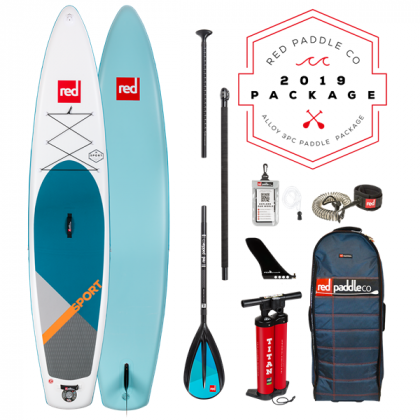 At Reactive we are the biggest dealer of Paddle Boards in the South West, we specialise in anything from High Performance Wave SUPS, to your first entry level board, also high performance fast touring boards, to boards you can fish off and cruise about on. Not to mention a large range of the top Inflatable boards on the market to date. We are constantly testing and trying out new shapes and ideas and that helps us gauge exactly what is ideal for anyone coming in to see us about boards. Boards have come a very long way from the first super heavy 11fters that hit the market in 2008. Now boards are made out of 3 to 4 different constructions, everything from durable entry level materials to the latest in Wood Sandwich and Carbon technology. 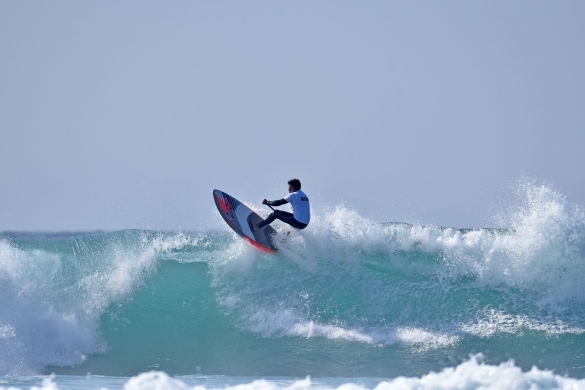 Come check out the largest range of boards in the South West. Black Aluminium "Cut to size shaft" Alround paddle with plastic blade. Starboard Full Carbon - This fantastic looking super lightweight paddle gives more performance per storke and feather light too "Cut to size shaft" or custom fit.